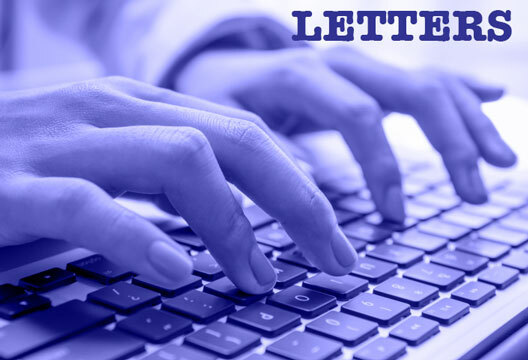 I write to you after spending time exploring what could be considered the ‘pro-suicide’ community online, although one which its members would perhaps more freely describe as the ‘pro-choice’ community. It represents posts and discussion forums across social media platforms where users share not only their experiences of suicidality but also instructions on suicide techniques. ‘Catch the bus’ or ‘CTB’ is common parlance amongst members of this community. It is usually posted by members stating they have decided to end their lives, seeking encouragement and advice from other users. These forums and associated posts are not hidden in some dark corner of the internet, or the much feared ‘dark web’, but out in the open, a few clicks from a Google homepage. I came across some of them whilst researching for a paper on young people’s mental health conversations on social media. The pro-choice community is not a new phenomenon either and can be traced back to ‘Usenet’ discussion groups, such as alt.suicide.holiday, that pre-date the internet as we know it. From these early text-based beginnings pro-choice message threads can be found across the web. Research in 2008 suggested that 11 per cent of all suicide-related content online was ‘pro-suicide’ (Recupero et al., 2008). Until recently one of the most popular pro-choice forums was contained on a user-created message board on the Reddit website, a news and discussion website with over 200 million users and over 500 million monthly visitors. Here users would post questions about suicide techniques and plans as well as discuss their experiences. These posts appeared to receive a mix of responses, from encouragement to attempts to dissuade. Overwhelmingly the responses supported users to ‘make their own choice’, even if that choice was to end their life. I use the past tense here as in March this year this message board was added to Reddit’s ‘banned’ list.This ban echoes similar responses from platforms such as Instagram in banning content that is seen to promote violence or self-injury. The recent Reddit ban led to outcry from users on a number of related forums, with many decrying the ban as an act of censorship, but more sharing a sense of feeling silenced and that they had lost a place where they felt safe to share their feelings without fear of judgement or reprisal. Perhaps expectedly, numerous alternative sites have since been spawned to provide a space for these displaced users to continue to express their feelings to their ‘pro-choice’ peers. It is this apparent need that drew me to explore this community alongside the consideration of possible alternative methods of providing meaningful support to these individuals. Currently the act of censorship and the banning of these forums seems ineffective, yet evidence suggests that accessing these sites may increase risk (Marchant et al., 2017). Perhaps, then, efforts to support these individuals in their apparent need to express these thoughts without fear of judgment, whilst also managing risk, needs to take place in some other forum or perhaps offline? One of the more common posts on pro-choice forums advises readers not to tell anyone about their suicidal thoughts outside of the forum, else they risk being ‘locked up in a mental hospital’. It is perhaps this conversation that we as psychologists may have a role in changing. I ask readers, therefore, whether we might support individuals to engage in some of these ‘high-risk’ conversations offline, rather than seeking to meet their needs online and potentially putting themselves at greater risk. Marchant, A., Hawton, K., Stewart, A. et al. (2017). A systematic review of the relationship between internet use, self-harm and suicidal behaviour in young people. PLoS One, 12(8), e0181722. Recupero, R., Harms, E. & Noble, J.M. (2008). Googling suicide: Surfing for suicide information on the internet. Journal of Clinical Psychiatry, 69(6), 878–888. Find much more on suicide in our archive.